Our teachers has been there always for us when we were students. Some we may not like, but surely 95% of them, we do like. Even so, their tiring efforts will not go by unnoticed. So on their month long celebration for Teachers' Month, Enchanted Kingdom has a gift for these tireless second parents of ours. 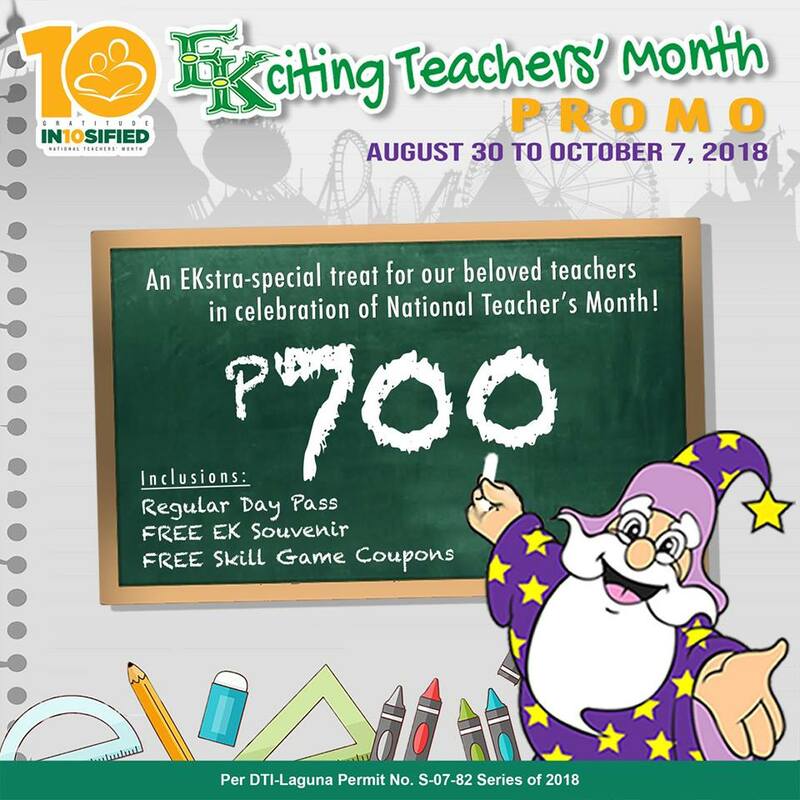 Giving due recognition, Enchanted Kingdom applauds the passion, commitment, and hard work of our educators by offering them special promos in celebration of the National Teachers’ Month from August 30 to October 7, 2018.